It was the unexpected letter when Liliya had rather sad mood. Her relationship didn`t work with her ex boyfriend and she decided to try her destiny on mariya-club.com. She wants the mature and reliable man. Age doesn`t matter to her. She wrote the letter asking the question why Jim have got divorced and he wrote her immediately - `My ex wife didn`t want to communicate and share everything with me. I lost the connection with her soul and mind.` When they started chatting it seemed like they knew one another since many years ago. They were spending hours in chat and writing romantic and very sincere letters to each other. Jim was sincere and behaved himself as a gentleman and Liliya was excepting his openness and serious intentions. They decided to meet and started planning their meeting after the one week of their communication on the site. They both were excited and Jim was hesitating of his coming to visit Liliya because he was disappointed in several ladies before. Finally they met and the weather was sunny and warm in Kiev on that day. They went to the Georgian café which was near the Cossack hotel on Maiden. They were talking by hours and their energy was good, they felt the match since the beginning. They were repeating that the virtual communication matched with the reality when they finally met. They have spent 4 days together and during their meeting they were visiting several places of interests in Kiev such as the Residence of ex Ukrainian President Yanykovitch and Cossack Sich. 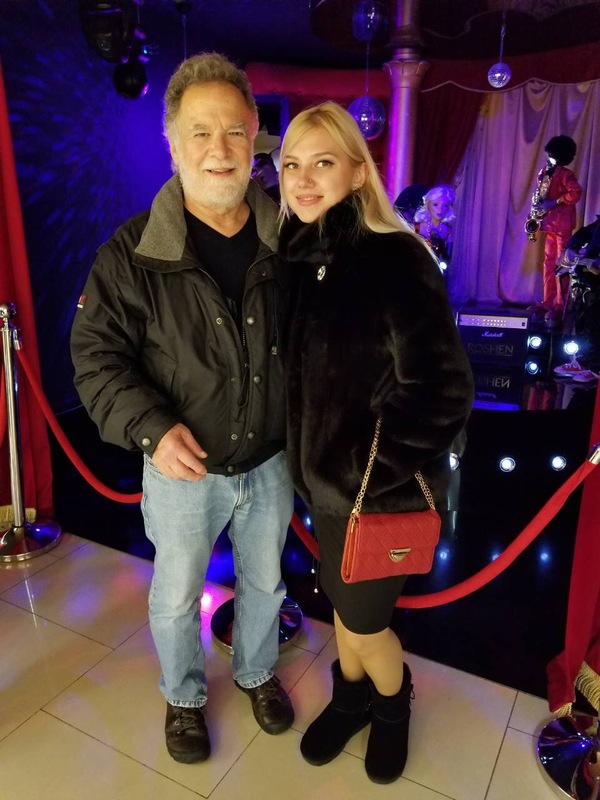 The couple enjoyed their staying in Kiev and when they got to Cossack Sich it started snowing heavily, they felt like they were in the winter fairy tale. They are developing their relations now, seems like they are going to meet in February again. Good luck to them!